To view the list of available positions, visit Job opportunities at HGH. Make your job search easier with our Career Alert! Receive notices by email when a position matching your criteria opens by creating your Profile. For your first online application, you will need to create a profile. Our recruitment team attends job fairs on a regular basis. Come and meet us! For more information on job fairs, email our Human Resources Technician. The Hawkesbury and District General Hospital (HGH) is expanding and exciting opportunities are available in most sectors of the hospital. Looking for a rewarding career? 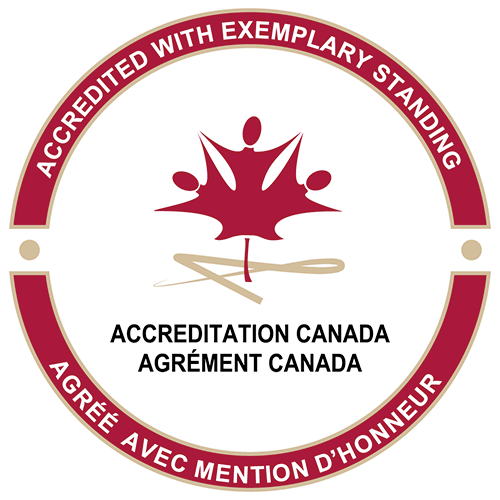 Choose an institution recognized for its excellence in family and patient-centred care. Our team is committed to teamwork, innovation and leadership. We promote the professional development of our highly-skilled, dynamic and competent workforce. Submit your application today! This could be the beginning of a new chapter in your health-care career. At HGH, we are committed to promoting an accessible work environment where all employees and candidates feel respected. We support the principles of adaptation in the workplace. If you need workplace accommodation during any stage of the recruitment process or anytime thereafter, please notify a member of the Human Resources team. We will be pleased to assist you and accommodate your needs. An interview at HGH is a two-way discussion. The role you play within the organization is an important one. During the interview, we’ll discuss daily challenges where your skills would be put to good use and present development opportunities available to you. Our human resources advisors are seasoned professionals. Their job is to guide you through this process in complete confidentiality. We want to get to know you. At HGH, we want more than resumes. We want motivated and passionate people.